Here is a simple hunt to help a poor skeleton relocate all his parts with a free HUD and you can get 15 prizes in total including the grand prize along the way. If you do not already have one, its a good time to grab your Ouija Board! There is always a good reason to keep a Guillotine around in your house. Witch? 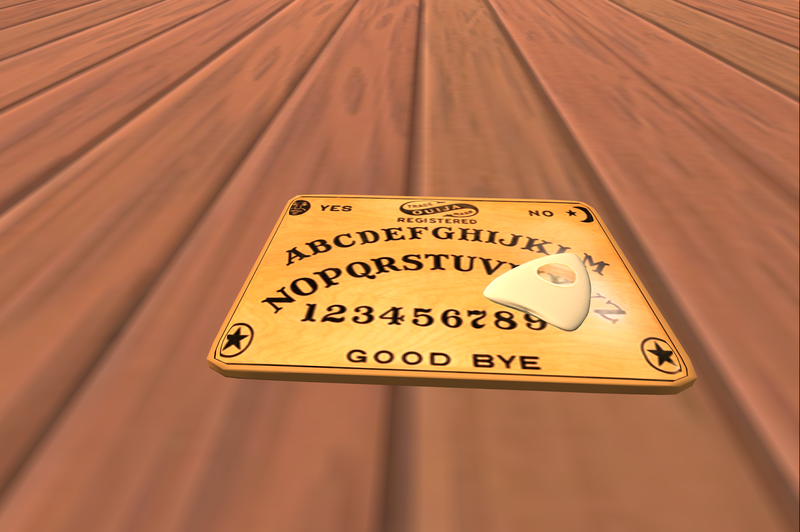 What witch? The next person who say anything about witches ... "Off with her head!" If the Guillotine doesn't do it, you are always welcome to Kitty's Bone Crusher. Yes. Kitty thinks its a pretty sight too, just that maybe a little more blood will make it looks much better. You were saying something about my tree? 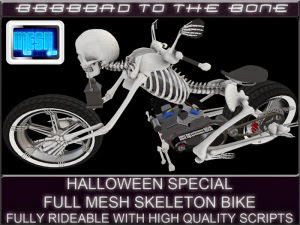 Last but not least is the grand prize which is a nice motorbike made from bones! Kitty skipped some of the prizes because they are huge and well, there is also one adult prize as well... But that's all for you to find out for yourself.